How are you guys doing? Today is my birthday and I didn’t want to miss my blog on this special day. Here is another review from Enn’s Closet. Many of you guys had asked me reviews of their new launches. I have reviewed their About to Glow 100 Times Washed Ghee with Saffron and After 9 Overnight Sleeping Mask. You can click on the above links to read them. 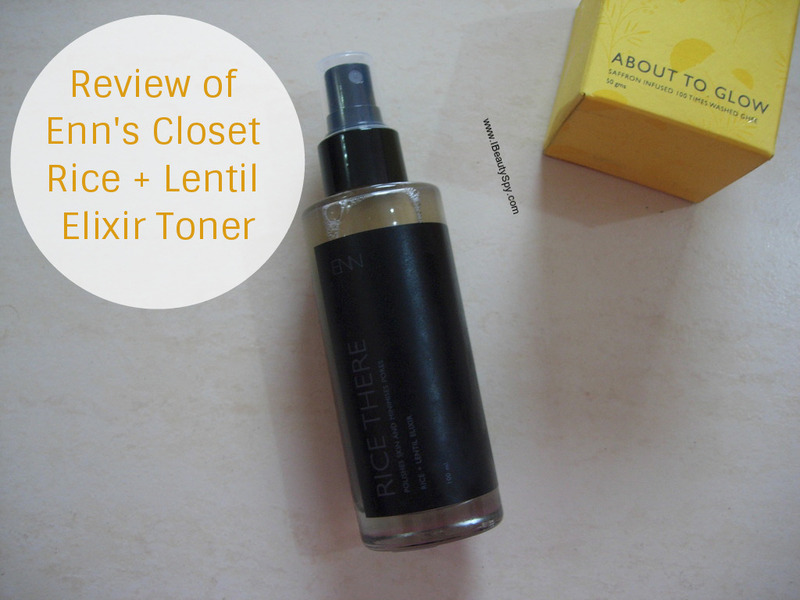 Today am reviewing one more new launch from them – Enn’s Closet Rice + Lentil Elixir Toner. This is such a unique product. Have you ever seen this combination of rice and lentil water in any other brand toner? Am seeing it for the first time. Let’s see how it performs. Shrinks pores, revitalizes and nourishes your skin with just one single product! Formulated with Fermented Rice Water, Moong Lentil water and Witch Hazel in a chemical-free formulation which penetrates deep into the skin and replenishes it with vitality. 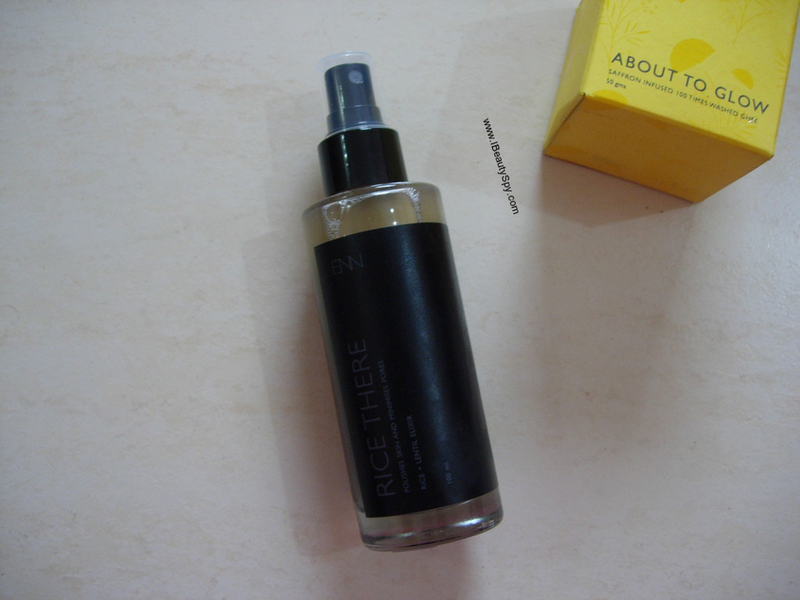 Rice There- Rice Water and Lentil toner is sprayed onto the face that shrinks the tiniest of pores to help your skin feel revitalized and conditioned and even-toned. The Moong Lentil helps pacify the skin damaged from UV rays and balances the moisture level on the skin. Witch Hazel also soothes the skin and fortifies the skin’s barrier to make the face look livelier and feeling fresh. Presenting the fermented rice water toner, that’s seamless for everyday use for every skin type. This toner is crammed with rice and lentil water that works to instantaneously trickle into the skin and deeply make it crystal clear and defies ageing. Enn’s Closet Rice + Lentil Elixir Toner comes in a spray glass bottle with black labels. The bottle is heavy, so not travel friendly. But it is for sure luxurious. I have never used such a luxury toner in a glass bottle. The bottle is housed in a outer carton with black graphics. Enn’s Closet has done an excellent job in packaging aspect. Enn’s Closet Rice + Lentil Elixir Toner looks pale beige color in the bottle. But when you spray, it comes colorless. When it comes to the fragrance, I have mixed feelings. 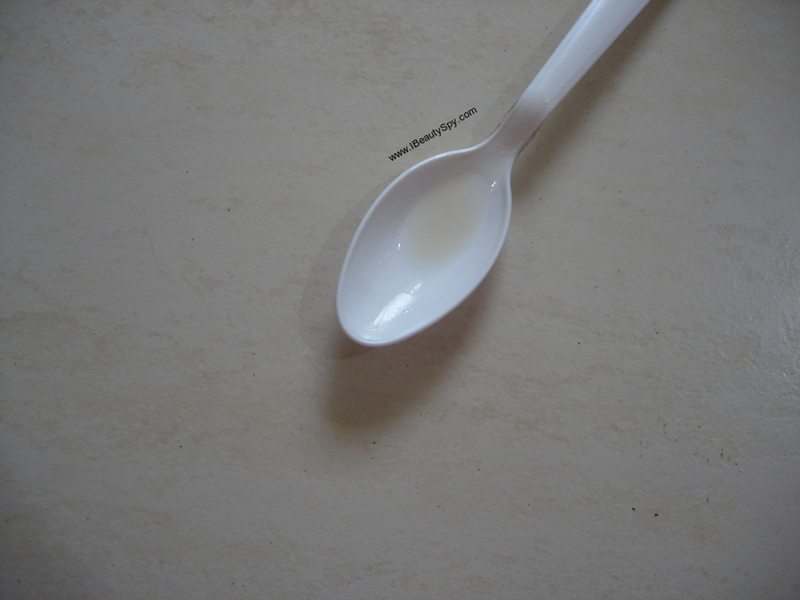 It has a strong fragrance which sometimes feel herbal and sometimes refreshing. Hard to say. But I can definitely smell rice and lentil in it. On looking at the ingredients list, I saw peppermint and green tea, so that be could be reason for the refreshing smell. I tried spraying this on my face directly, but somehow its gets inside my mouth and taste is really sour. I think they should have a finer spray mechanism. So now am just spraying on my hands and applying on face. This is a really hydrating toner. 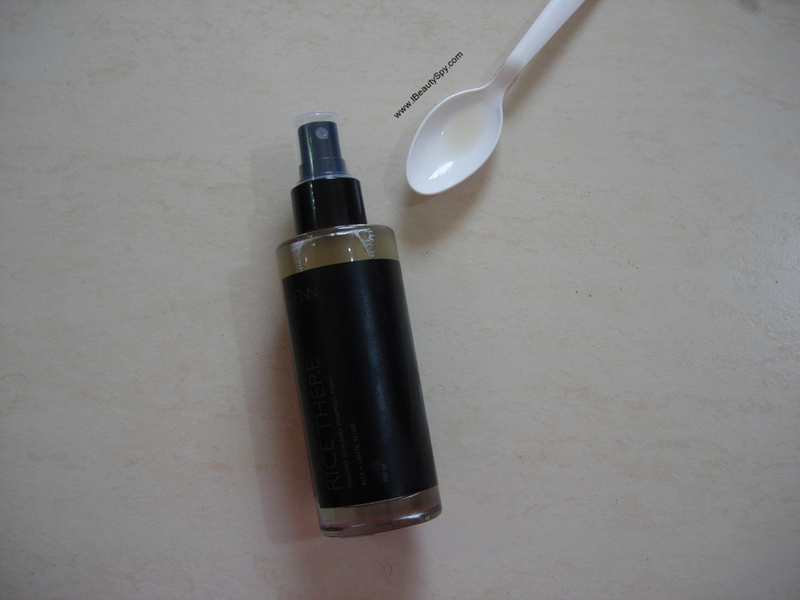 I like to use Enn’s Closet Rice + Lentil Elixir Toner as part of my evening routine. As it soothes sunburns and revitalizes dehydrated skin. The rice and lentil water seeps into layers of your skin to bring back the glow, vitality and nourishment. I have also observed that the rice water provides some gentle exfoliation aiding in faster cell turnover and thus brighter looking skin. It also shrinks pores. Now coming to the anti-aging claims. I have heard rice water is an excellent anti-aging remedy and Koreans use it extensively. After using this, I actually could see the fine lines on my forehead reduced. Skin looks younger and alive. I have never seen a toner providing such anti-aging results. Seems like these traditional remedies do actually work magic. Enn’s Closet Rice + Lentil Elixir Toner is meant for normal-dry, dehydrated and mature skin. Lentil packed with proteins provides nourishment for skin to keep it healthy. Rice is anti-aging. These are the main benefits. It doesn’t control oiliness or provide a matte look. So not for oily skin people. I have combination skin. But I use it only in night. In mornings, I use a clarifying toner. The ingredients list is simply amazing. Along with rice and lentil, it also contains green tea, aloe vera, witch hazel, mogra and peppermint E.O. You can think of the magic it will work on your skin. * Luxurious glass bottle spray packaging. * Contains unique combination of rice and lentil water. A first of its kind toner. * Seeps into the layers of skin to provide hydration and nourishment. * Revitalizes dry and dehydrated skin. * Brings back the glow and vitality. * Provides gentle exfoliation which gives brighter looking skin. * Excellent anti-aging remedy, minimized fine lines on my forehead. * Skin looks younger and healthy. * Spray packaging should dispense a finer mist. Currently, the mist goes all over. * Would like to see a travel-kit. Currently, all your products are heavy and not suitable for travel. Its a luxury brand, so priced higher. Also one bottle lasts for a very long time, since only little needed each time as its very hydrating. There are many rice water products in the Korean skincare industry. In India, the trend hasn’t still started. 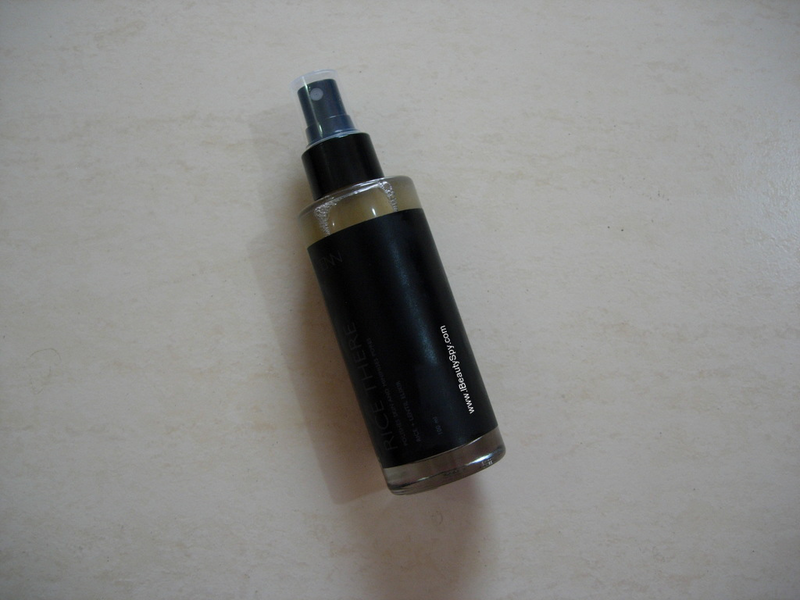 Enn’s Closet has taken the lead and launched this Enn’s Closet Rice + Lentil Elixir Toner. What is innovative is that along with rice, it also contains lentils which are a storehouse of proteins. Rice (anti-aging, brightening), lentil (nourishment, healthy, food for skin), green tea (antioxidants), aloe vera, witch hazel (toning benefits), mogra, peppermint E.O (refreshing) – this seems like an amazing recipe for a toner. I don’t buy into Korean skincare because I like Indian skincare brands more. This toner from Enn’s Closet is like those famous Korean toners that are going around all over social media nowadays. But natural, free from harmful chemicals and with a minimal and clean ingredients list. So better! I would definitely recommend this product to all except oily skin people. Enn’s Closet, am waiting for more of your innovative new launches 🙂 . That’s all guys! 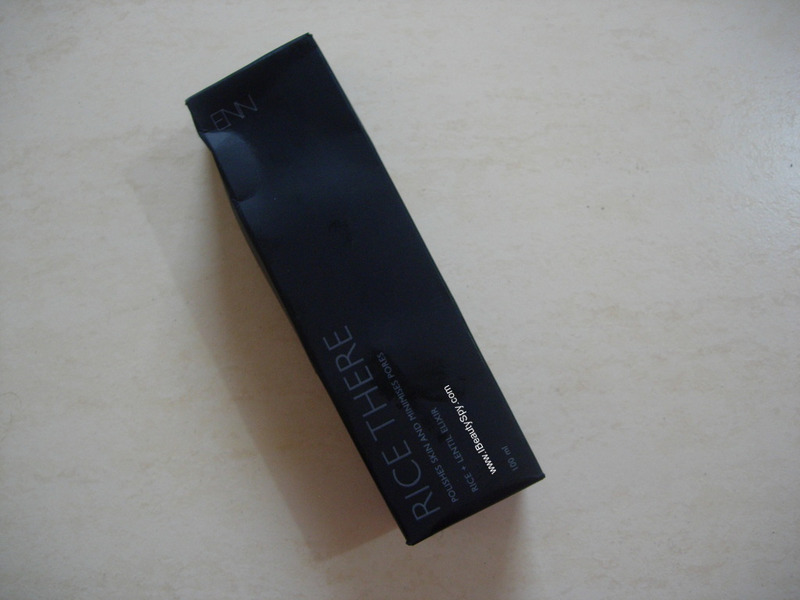 If you have any queries on this product or any other, you can mail me ibeautyspy@gmail.com. Even if you want a customized skincare regimen. Just Came across your post, Very well written. loved reading your hauls . Coming to the product, I might want to try it to shrink my pores.